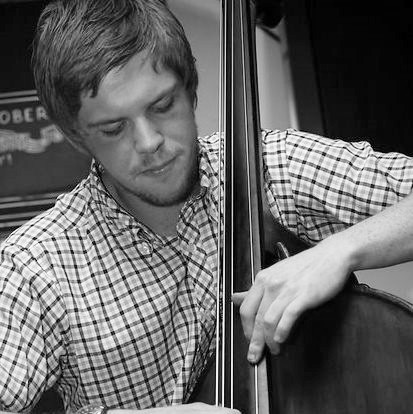 Stuart Barker is a double and electric bass player who works regularly as part of the UK Jazz Scene. He studied at Birmingham Conservatoire where he has received tuition from Arnie Somogyi and Mark Hodgson, as well as various masterclasses and performances with the likes of Dave Holland, Jeff Ballard, Mark Turner and John Taylor. He has gone on to perform with The Clark Tracey Quintet, Brandon Allen, Tony Kofi, Nigel Price Les Chisnall, Andy Panayi and Jeremy Price amongst others. Stuart has performed at major venues including The 606 Club, The Spice of life, Bratislava Jazz festival, Jazz Kitchen in Sweden, The Spotted Dog, Symphony Hall Birmingham etc...., as well as at Cheltenham, Brecon, Marlborough, Southport and Derby jazz festivals. He has supported artists such as Laura Mvula, and worked on television; notably BBC Three and on Channel 4’s Made in Chelsea. Stuart's quartet ULV, made up of Scandinavian and British musicians, have toured the UK and Europe, and he also performs regularly with chordless saxophone trio YBY, who performed with Les Chisnall at Birmingham Symphony Hall Foyer.